Are you thinking about remodeling your home? Don’t forget to update your wiring and technology options while you are at it! It’s an excellent chance to cut holes, re-work, and pre-wire your home to be more compatible with your needs and up-and-coming technology as it comes along. If you are ready to take the plunge, we encourage you to embrace it full-on! At McCray Communications, we understand that so many things can change in just a couple years. So, when you get the opportunity to remodel your home, we want to be there to help you truly optimize your space! From home theater installation so that you can finally hide those wires, to pre-wiring so that you can take advantage of universal remotes, we want to be there for you. That being said, our all inclusive pre-wiring service options for home remodels are practically endless; you name it and we will make the wiring for it happen. Turn your home into an intelligent home! When you remodel your home, you give yourself a chance to enhance your living space. We are prepared to help you do exactly that! 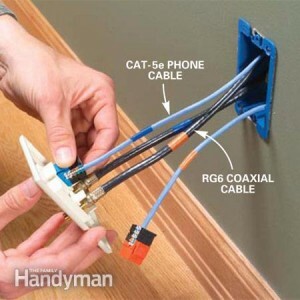 Call McCray Communications to schedule your no hassle, pre-wiring for home remodel consultation.